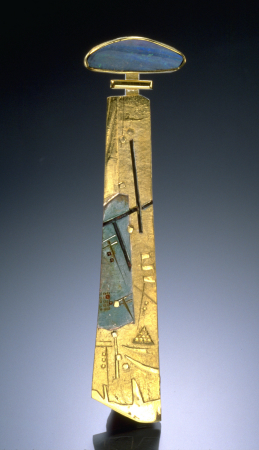 All of the links to the left are now working, and three new pieces have been added to the gallery. Also, Mary Rogers is now a member of the Texas Original organization, a program from the Texas Commission on the Arts that recognizes high quality Texas craftspeople. 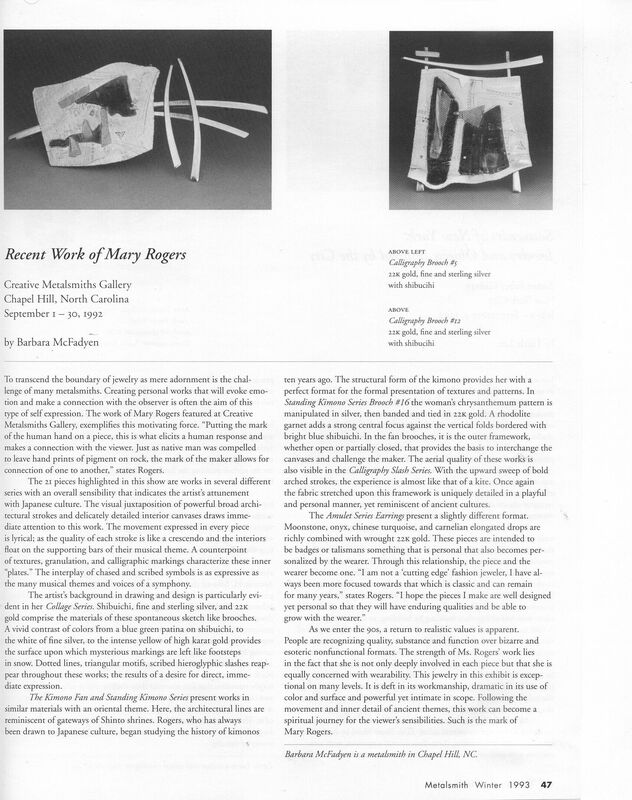 The jewelry magazine Metalsmiths featured an article reviewing Mary Roger's 1992 show at the Creative Metalsmiths Gallery. A scan of the article is available here.